For e-commerce businesses, lost, stolen, and damaged packages represent a cost that, if not controlled, can cripple a company. How common is it that a shipment doesn’t arrive at its intended destination in good condition? Shipping companies are, of course, reluctant to share these types of stats. But, it’s safe to say that undesirable outcomes occur frequently. As an example of just one component of “undesirable outcomes,” Shiphawk reports that 2016 research by Fast Company Magazine found that 11 million packages were stolen from porches in the U.S. the prior year. That number should concern e-commerce companies. Fortunately, in many instances, shipping insurance can cover the replacement cost for lost or damaged shipments. Insurance in general, and shipping insurance in particular, can be confusing. Unfortunately, that sometimes leads companies to go without it and simply “hope for the best” when they ship their merchandise. However, shipping coverage really isn’t as complicated as it seems. With a brief overview, some research, and then conversations with providers, you can get affordable insurance that protects your business from the financial impact of lost or damaged goods. Declared value coverage. The key term here is “declared.” This is the dollar amount you have told the carrier the package is worth as you are giving it to them. That declaration establishes the figure for which the carrier will be liable if two conditions are met. 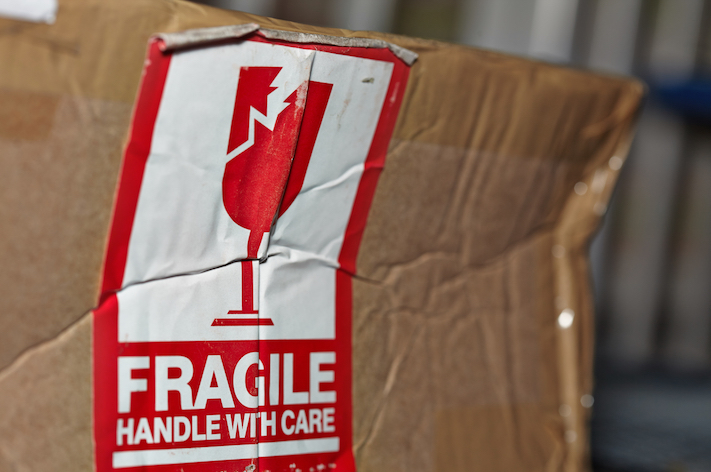 First, loss, damage, or theft must occur while the package is in the shipper’s possession. Second, in order to be reimbursed by the carrier, you must prove that they were negligent in the way they handled your package. This, of course, is difficult since you are not observing them throughout the process. Cargo insurance. When companies think of “shipping insurance,” typically cargo insurance is what they have in mind. This is insurance in the standard sense. It provides compensation if a package is lost, stolen, or damaged at any point in the delivery process and may include coverage beyond the declared value for other expenses. Plus, you may not be required to prove negligence on the part of the carrier. Cargo insurance can be either “inland transit insurance” (covering shipments only by land transport such as truck or train) or “marine cargo insurance” (covering shipments by any mode including sea, air, truck, and train). Understanding these differences gives you a good foundation for moving forward with your decision regarding shipping insurance. Does My Company Need Shipping Insurance? Legal obligations. If you have a legal agreement with your recipient that you will insure the shipment, then you must provide insurance. That’s stating the obvious, but it is important that you understand your obligations. Shipment value. If the value of the merchandise in a particular package is fairly low, then insurance may not be necessary. What is “low”? You have to make that determination. But, for example, a company shipping $700 cell phones might understandably see insurance as essential whereas one that ships $10 toys might be comfortable with the risk of loss and choose not to have insurance. Item type. Some merchandise is more susceptible to damage or more likely to be stolen. Evaluating those risks is important. Destination. If you are shipping packages locally and to areas where package theft is uncommon, shipping insurance may not be a high priority. However, if you are shipping regionally, nationally, or globally and/or to locations where theft is common, you should certainly consider insurance. As ShippingEasy points out, there is also a formula for assessing the business case for shipping insurance. Essentially it is the number of shipments lost/damaged/stolen divided by the total number of shipments and multiplied by the average order value to arrive at the average insurance cost per item. Calculating that number can help you look at shipping insurance from a financial perspective. There are two main reasons it is critical to pack your shipments properly. The first is that doing so can help reduce the risk of damage (in all forms, including poor handling or inclement weather) and theft. You might say that the most affordable insurance is the insurance you don’t need! The second is that adequate packaging may be required in order for your insurance claim to be honored. Some insurance policies will have verbiage saying that shipments must be “properly packaged” in order for reimbursement to be issued. For both of these reasons, you should always pack your merchandise in sturdy cartons (corrugated cardboard is both strong and lightweight) and take the necessary steps to secure the merchandise inside the box with adequate cushioning or void fill. There are several types of void fill that include foam for surface protection, bubble cushioning to absorb impacts and air pillows to properly fill the voids in the box and prevent unnecessary jolts to the merchandise. Even more popular these days are paper solutions that accommodate sustainable packaging needs and are usually curbside recyclable. Sealing those cartons with water-activated tape (WAT). WAT creates a powerful, tamper-evident bond with cartons, and can do so with a minimal number of strips. Plus, it can be printed with branding or messaging, making it effective both at sealing packages and branding your company. So, the combination of proper packaging and shipping insurance, where appropriate, can help protect your company from the high cost of lost, stolen, and damaged shipments. To learn more about our water-activated tape, water-activated tape dispensers, and other products, please contact us at your convenience. Interested in trying a free sample roll of water-activated tape?